This list of historical events was compiled in 2005/7 by a working group of ski historians from several countries, under the direction of Elisabeth Hussey. It was subsequently corrected and expanded before publication in 2008 on the FIS website. During a redesign of the FIS website the timeline disappeared. It's provided here as a potential research tool. Wherever possible the source of the information listed has been added in italics, so that it can be checked. From 1897 until today about 250 pieces of skis and some poles have been dug up in Norway, Sweden, Finland and Russia.They range in age from about 6,000 BC to 600 AD. A major source is Gosta Berg’s “Finds of Skis from Prehistoric time in Swedish Bogs”, Stockholm: Generalstabens Litografiska Anstalts Forlag 1950, whose book, as the title makes plain, analyses only those from Sweden. Other Swedish, Finnish, Norwegian and Russian researchers have also written on bog skis. The list below of these skis includes the earliest finds from each country and also those which have something special about them. Inevitably the list is subjective. In prehistoric times Norway, Sweden, Finland and Russia did not exist as political states but we have used 2007 political borders when listing the various skis. The same may be said of China and – later - when we record information from Germany, Austria and other countries, we use today’s frontiers even though many have changed and some have disappeared. -The word “ski” (from Suksi) is used in Finland. Eino Nikkila 1966 & Eero Niskali 2001. -Rock carvings found at Bolommid, Norway. Rune Flaten. Ski History Conference 2004. -The Salla ski (earlier the Kuolajarvi ski) was found in Finland in 1938. Originally 180cm long. Circa 15cm wide. Eero Naskali. On Ancient Skis. 2nd Historical Conference. 2001. -Two complete skis and a pole dating from this time were dug out of a bog at Kalvetrask Sweden, in 1924 . Berg dated them 1300 but carbon dating proved them to be 2700BC Jakob Vaage 12 June 1984. -Circa 2,500BC Rock Carving of skier (carbon dated) were made at Rodoy, a Norwegian island north of the Arctic Circle. -1,700-1500BC Bronze Age rock carvings including a skier on Aeskove Cultur. Also clay vessel with illustration of skier. -Skis lined with badger skin and a pair of ancient bindings found at Mantta. Eero Naskali On Ancient Skis. 2nd Ski History conference 2001 c.900 Skis mentioned in a 16th century account by Bishop Oddur in Iceland. Cited by Thorstein Einarsson. Winter Sport in Iceland. Matti Goksoyr. Winter Games Warm Traditions. -Procopius in “The Gothic Wars” refers in Greek to Scrithiphini (Finns who glided). - 7th-10th Century – evidence in writing from China of skis used by central Asian people. -c 900 Skis mentioned in 16th century by Bishop Oddur in Iceland. Thorstein Einarsson “Winter Sport in Iceland” Matti Goksoyr: “Winter Games Warm Traditions”. 54. -The Birkebeiners, Thorstein Skevla and Skjervald Skrukka rescued the 2-year-old Prince Hakon Hakonson, heir to the throne, skiing over the Dovre mountains from Lillehammer to Osterdalen. Since 1932 the “Birkebeiner” race has been run along the supposed route from Rena to Lillehammer. “The Saga of King Hakon” c. 1270. Remembered best in the 1869 painting by Knut Bergslien. -Von Herbertstein travelled from Vienna to Moscow and described skiers in his book “Rerum Moskoviticum) published in 1556. The skiers carried one stick and had short skis. Eino Nikkila 1966. -Norwegian postal decrees were formulated. Vaage. Skienes Verden. -Publication of the Carta Marina (map of Finland) drawn by Olaus Magnus, a Swedish Catholic Bishop shows two men and a woman hunting on skis. Elfriede R Knauer “Die Carta Marina des Olaus Magnus von 1539” Gottingen Gratia 1981. -Olaus Magnus, a Swedish Bishop, published his book “History of the People of Septentrionalibus”. In 1567 it was published in German at Strasburg. An English translation by Peter Fisher and Humphrey Higgins, edited by Peter Foote, was published by the Hakluyt Society in 1966. 20 editions appeared translated into French, Italian, German and English. The woodcut illustrations were particularly useful. As people from Central Europe learnt about skiing from various publications, they began to travel further on skis and write about their journeys. Their accounts are mostly in museums. All over Scandinavia, in the Baltic countries and Russia there were soldiers trained to fight on skis. -Herman Fleming attacked Inkerinmaa. Some infantry and 900 peasants used skis. -1609-1617 Skitroops were used for scouting in Fenno-Sweden battle against Russia. -Johannis Scheffer: “Argentotensis Lapponiae”. Frankfurt-am-Main, republished in 1673, then in English in 1674 and German in 1675. The English version is John Shefferus “The History of Lapland” (Oxford). At the theater in Oxon 1674. Well known illustration of unequal length of skis. -Janez Vaikard Valvasor of Slovenia described people of the Bloke plateau using wooden boards to “swerve like snakes” to avoid obstacles when coming down steep slopes through snow. Ales Gucek In the Tracks of Oldtime Skiing. Johannes Weichard Valvasor Die Ehre des Hertsogthums Krain, Laibach. -Skade, goddess of skiing appears in Presten Jonas Ramus “Norig Regnum” Rune Flaten “Skiguddinnen Skade” Arbok (2000) ………………..
Isthmus. Eino Nikkila “The Story of the Ski” 1966. -In “Voyage vers le Septentrion” there are drawings of Samojedi hunters with short skis, turned up at both ends. Eino Nikkila. “The Story of the Ski” 1966. -Greenlanders pictured on skis. Hans Egde. -First rules for military on skis made by Jens Henrik Ernahusen (1688-1752). ski troops not to hesitate to attack but before the impact to withdraw and surround the enemy. Eino Nikkila. “The Story of the Ski” 1966. -Waxing mentioned by C Hals, Elverum. -Prizes for military ski competitions. -Literary reference to skiing in Germany. “Mineralogische Geschichte des sachsischen Erzgeberge.” Hamburg 1775 cited by Fritz Benk. “ Geschichte des Skilaufs”. Innsbruck. Leopold-Franzen Universtat 1953 PhD thesis. Skiing is again mentioned in the Erzgebirge in 1804 in Kael August Engel “Erdbescheibung von Sachsen 1804” cited in Der Winter VII (January 1933) 106. -Description of skis of unequal length (95cm short and 160 long) with sealskin. Nicolai Jonge Jordbeskrivelse. -Skiing recorded in Weardale, England approximately this date. Ski Notes & Queries, December 1970. -1790s Russian skiers in Alaska. M.D. Teben’kov. “Atlas of the Northwest Coasts of America from the Bering Straits to Cape Corrients and the Aleutian Islands with several sheets on the Northeast Coast of Asia” compiled by Teben’kov when he was Governor of Russian Alaska and published in 1852. Cited in Dave Brann “Russian skiers the first to make tracks in North America” in E.John B Allen (Ed) International Ski History Congress 2002 Collected papers. New Hartford ISHA 2002 15-16. -In Riesenkopf area, Silesia, a sort of ski was used. Johan Friedrich Zollner. “Briefe uber Schlesien auf eine Reise im Jahre 1791” 2 volumes Berlin 1791 and 1792 11 193. -1793-1804 Johann Christoph Friedrich GutsMuths, philosopher and founder of new bodybuilding method in Germany, skied in Thuringia and recommended it in his book, published in 1804, “Gymnastics for the Young”. Falkner. Formation of Workers Ski Sport in Germany. -Dutch ship’s captain, Cornelius de Jong wrote of Norwegian ski corps and soldiers jumping with illustrations in his “Reizen naar de Kaap de Goode Hoop” Haarlem 1802. -In Telemark skiing was well known and in different forms was practised with great skill. It spread quickly all over Norway for health and enjoyment. The people from Christiania gradually developed their own Christiania technique. -Early 1800s. First ski-jumping competitions in Telemark on jumps made from snow. Eino Nikkila “The Story of the Ski” 1966. -“The costume of Russian Empire” by Miller published in London has drawings of ostjak hunter with short skis and a stick with a spade tip. Eino Nikkila. “ The Story of the Ski.” 196. -1808-9 Ski troops fought the Nordic war between Sweden and Russia about Finland. Olaf Rye (1791-1849) recorded as having jumped 15 alen (c. 30ft) the start of keeping records. -Napoleon’s forces during retreat were harrassed by Russians on skis. T.I Ramenskai Lyzhnyi vek Rossii. 3rd edition Moscow Svetskii Sport 1998 15 and L.M. Butin Lyzhnyi Sport. Moscow Academia 2000. 12 (neither gives sources). -17 November – 1895 Oscar Wergeland born Kristiansand NOR. Norwegian military officer, who trained his troops to ski and wrote two books. “Skilober-exercitie Efter Nutidens Stridsmaade, Skytterlag of Skoler Tilegnet.” about how to ski. Kristiansand: Steen, 1863 and two years later his “Skilobning, dens Historie og Kreidgsanvendelse; nogle Bidrag dertil samt til Belysning af vore tidligere Vaernepliktsforhold. Christiania Schibsted.” 1865.on skis and skiing in Norway Einar Sunde. “Oscar Wergeland: an Apostle for skiing”. John Allen (Ed) International Ski History Congress 2002. -10 June – 9 March 1897. Sondre Norheim born Morgedal, NOR. Improved ski and bnding design. Introduced Telemark. Expert ski jumper. In 1868 won first ski competition in Christiania aged 42. Emigrated to Minnesota USA in 1884. Died North Dakota. -1840s. Glassworkers at Schreiberhau used 1meter skis for descent only. -In the Giant Mountains skis about lm long and 15cm wide were used. -Sondre Norheim made heel straps using birch tree roots. -First competitions run in Norway about this time. -1851-1938 Fritz Huitfeldt born Borgund, NOR– ski designer and manufacturer, binding inventor. Ski jumper with tips down. 1886-1893 Secretary of Norwegian Ski Association. Organiser of Huseby competitions. Published “Laerebog i Skilobning.” Leif Torgersen lecture FIS Ski Historical Conference 2001. -First newspaper account of a downhill ski race in California. Ski racing became popular in the goldmining camps of the Feather River Canyon (Northern Sierra). -Skiing reported from Danzig and Stettin. “En Skifaered i Danzig Fra Fjeld og Hari Christiania Cammermener” 1867 72-79. -Skiing reported in Australia. Vaage “Skienes Verden” but it seems unlikely that it was so early. Certainly by 1861 there were many people on skis, as reported in a number of papers. “Sydney Morning Herald” 6 August 1861 and “Yass Courier “ 10 August 1861. -Skiing reported in New Zealand, Vaage “Skienes Verden” but no supporting evidence. -25th February -20th June 1940 Mathias Zdarsky born Kozichowitz CZE. Founder of Alpine skiing technique, which he taught at his Lilienfeld school. Invented competitions through gates. He shortened skis, invented firmer bindings and taught how to use stem turn on steep slopes. Used single pole. Suffered terrible injuries in avalanche in 1916. Wrote important book on Lilienfeld Technique. -Skis first appeared in Switzerland at Sils-Maria and Silvaplana, made by the smith, Pedrun. -1860s Engadine children amused themselves on barrel stave skis. -Sondre Norheim jumped 30 metres without poles so held the record for more than 30 years. FIS History. -1860s Skis were used by miners in Durham, England. “She” TP’s Weekly 12th February 1904 226. -1860s Competition was frequent in winter in Norway and Norwegians who travelled to work or study in Europe took their skis with them – Gerd Falkner. -1861-1930 Fridtjof Nansen explorer on skis and writer. His book, “On Skiing Across Greenland.” published in 1890 and translated into many languages, had an immense influence on the spread of skiing in Europe. -First newspaper accounts of skiing in Austra1ian goldcamp (Kiandra) probably by miners from California. Yass Courier, 10th August and Sydney Morning Herald, 6, 12 August. -Johannes Badrutt kept St Moritz open in winter and bet his English guests they would find it as sunny as in summer. He won his bet so St Moritz became a centre of winter sports. -Sondre Norheim demonstrated Telemark and Christiania at Iverslokkan, Norway ISHA. -Konrad Wild brought Norwegian ski to Mitlodi, Glarus. Reported in Aftenbladet 10 February. -Deutsche Turnerschaft (German Gymnasts Federation) founded. -Sondre Norheim introduced the Telemark Ski at Christiania. -An article in Aftenposten, (Oslo newspaper) reported that two brothers left Norway in June to work in Canada. One found work on the railroad between Mt Forest and Kincardine and the other between Mt Forest and Georgian Bay. In winter they both used skis regularly and‘have attracted attention by the speed they go’. The first nations people and other railroad workers were on snowshoes. This is considered to be the first evidence of skiing in Canada. E. John B Allen Plymouth State College NH USA – Canadian Journal of History of Sport Vol XVII No l May 1986. Carly S King, Curator, The Canadian Ski Museum, Ottawa ON Canada. 1871- 14 March 1954 E.C. Richardson born in Dumbarton, GBR. Visited Norway and Sweden 1894 Visited Davos in 1903, founded Davos English Skl Club and Ski Club of Great Britain, Wrote Ski Running with Crichton Somerville and W.R. Rickmers and The Ski Runner with Henry Hoek. -8 April 1873-5 October 1949 Wilhelm Paulcke born Leipzig GER Professor of Geology and Minerology. Avalanche expert, ski explorer. In 1896 led a party which made first ascent of 3,000m Oberalpstock. In 1897 traversed Oberland glaciers. -Dr Carl Spengler at Davos made limited experiments on large Lapland hunting skis given to his father. -11 October- 4 December 1934 Colonel Georg Bilgeri born Bregenz AUT. Began to ski at Linz when 20, joined Tirol Kaiserjager Regiment 3 years later and led his platoon ski-mountaineering in Zillertal 3 years later. He was generous in teaching big classes in Sweden, Switzerland ,Turkey, Christiania and Telemark without charge and wrote instructions to guides which were captured in war. Learnt from Zdarsky but used 2 poles. Friend to British skiers, Honorary Member of Ski Club of GB. Died on Patscherkofel on the snow. G Seligman, British Ski Year Book 1935. -Julius Payer used skis on his North Polar expedition and introduced them to Vienna. -In the collection of the Svenska Skidmuseet (Umea north of Stockholm, Sweden) is a ski from northern Canada dating between 1875 and 1877, used by Raatamava in the bush and for hunting. E.John B.Allen, Plymouth State College NH USA – Canadian Journal of History of Sport vol XVII No I May 1986 – Carly S. King Canadian Ski Museum, Ottawa. -Finland raised its own army with skis as essential equipment. Eino Nikkila “The Story of the Ski.” 1966. -Ivar Holmquist born SWE. First President of International Ski Federation 1924-27. -Norwegian Ski Federation founded. Competitions were organised at Huseby. c. 10,000 spectators at first Huseby races near Oslo. Jakob Vaage”Skienes Verden”. -Martin Strand founded industrial ski factory in Minnesota. -M Duhamel experimented with Swedish skis in Grenoble. Skis acquired from 1878 Paris Exhibition. skis. Canadian Illustrated News 1879 Submitted by Carly S King, Curator/Director. The Canadian Ski Museum Ottawa, ON Canada. - 1880-1883 Monks, especially the Prior Henri Lugon, and a monastery servant on St Bernard Pass were given skis by a passing Norwegian and experimented with them. -Two brothers from Gorlitz skied on the Peterbaude in the Giant Mountains. Director The Canadian Ski Museum, Ottawa ON Canada. Clausthal-Zellerfeld) enjoyed skiing in the Harz Mountains. A Dr Krause brought 3 pairs of skis from Norway to Hirschberg. Falkner: Formation of Workers Ski Sport in Germany. -Advertisement for ski school in Oslo. Aftenbladet 9th February 1891. -Norske Ski Club founded in Berlin, New Hampshire (apocryphal version puts this date as 1872). -Wilhelm Paulcke, at school in Davos, experimented with ski procured by Norwegian schoolteacher and copied by local wagon maker. Paulcke was first skier in central Europe whose efforts persisted. Anders Rossas, said they had covered about 467km in 57 hours. On return, in order to prove whether this was possible, the Jokkmokkmokk course was run over 220 kms which Lars Tuordas, won in 21 hours and 22 minutes. “Hier began Schwedens Skigeschichte”. TMS translated from the Swedish into German, Jokkmokk museum 1968. Falkner. -Crosscountry and skijumping events were developed at Huseby. Whoever got the most points in the two disciplines was the winner. A cup was awarded for a womens’ race. Jakob Vaage Skienes Verden. -First ski ascent of Brocken in Harz Mountains by two Norwegians perhaps studying at Clausthal-Zelerfeld mining academy. Chief forest keeper in Harz mountains started to use skis. -Nicolai Oestegaard born Norway. President of Norwegian Ski Federation 1927-30, Army Colonel, President International Ski Federation 1934-1951. -1885-6 Ski clubs founded in St Paul, Minneapolis and Red Wing, Minnesota. -Skis appeared in Warmbrunn and Leiterbaden. Dr Otto Vorwerg, an officer in the Norwegian Service, lived in Leiterbadenland where he learnt to ski and explored the mountains. -Post delivered on skis at Ballenstadt in the Harz mountains. First use of skis for post in Central Europe. TMS Deutsche Ski Verband, Luther Archiv l, 4 Gutachten Braunlage 1909-52. -Austro-Hungarian landowners in Slovenia sent foresters to ski course held at Gusswerk near Murzzuschlag, Oral evidence collected by Toncica Urbas “Folk Ski-ing” practised at this period in Slovenia especially around Pohorje (Carniola). -1886-7 First skiers in Czechoslovakia. Karl Danek. “Why Us, Here and Thus?” Nove Mesto Sporten 1994. -First skis appeared in Schwarzental by Hohenelbe. -9 March.Helsinki Sports Club organised ski competition. 16.5km Crosscountry and skijumping on jump made of snow. Finns jumped using sticks. A Norwegian engineer, Nielsen, won – without sticks. Pekka Honkanen. “The History of Skijumping in Finland.” 1990. -Graf Harrach equipped hunt servants with ski in Bohemian Riesengebirge. -April 1888 –1974 Arnold Lunn born Madras GBR Laid down rules for Alpine slalom and downhill racing and persuaded FIS to accept them. Founded Alpine Ski Club 1908. Co-founder with Hannes Schneider of the Arlberg-Kandahar. Organised first World Alpine Ski Championships 1931. Edited British Ski Year Book 1920-1971 and wrote many books. -First skiers in Denmark. Wilhelm Munack “Wintersort in Danemark” “Der Winter” VII 9 (28 December 1911). 248. -Grindelwald opened for winter sports. -Colonel Napier (GBR) brought Norwegian manservant Nils Nilssen to Davos with skis. Tobias Branger and a local carpenter copied the skis. On leaving Nilssen presented skis to Katherine Symonds who skied a little but without success at this point. -Oula races held on 23 March in northern Finland . 31.1km won by Aappo Luomajoki. The most important races for about 20 years. H.W. Claudelin. “Oulun Hiihto 1889-1938” Oulu: hiihtomenestyksen tausta Suomen hiihtourheilun alkuvaiheesa.” Sportsmen and their community – Background of the Success in skiing in Haapevsi. “Scripta Historica V.” 1977 English summary p 118. -Olaf Kjelsberg, locomotive engineer from Norway and one of the first skilled skiers in Central Europe, introduced skiing to Winterthur. -Dr Tholus procured Norwegian skis to help in his rural rounds and experimented with them at Todtnau, Black Forest, but gave up. -Max Kleinoschegg began to ski at Graz. -Mathias Zdarsky retreated to Habernreith, near Lilienfeld, and experimented with Scandinavian skis. -14 June 1890-1955 Hannes Schneider born Stuben, AUT. Founder of Arlberg Ski School who transformed teaching of skiing. He taught stem and stem christiania. Co-founder with Arnold Lunn of Arlberg-Kandahar. Exiled to USA after Anschluss and took over Eastern Slope Ski School, Cranmore. -Publication of “Paa Ski over Gronland” by Fridtjof Nansen. Christiania Aschehoug. Translated into German and English in 1891 into Swedish in 1896 and into many other languages. It inspired many central Europeans to ski. -Karl Otto made ski ascent of Heimgarten, Bavaria. -First German ski club formed in Munich. Members used Karjala skis imported from Finland. -Skis used in Reichenberg and Gablonz. -Otto Vorwerg, the first German to master ski technique, began to ski in Riesengebirge; Louis Dufour brought Norwegian skis to Les Avants; Domherr Jules Gross revived ski interest at Grand St Bernard; Peter Oester senior, a farmer, was first skier in Adelboden. -Crosscountry skis made at Kerkkoo, Lampinen. H.S.-97. -Norwegians went to South America to work on Trans-Andean railroad. Advertisement in “Verdens Gang” 2 December 1889. -Mr Knocker, an English farmer, introduced skis to Meiringen. skis at his Lilienfeld School. To make his school better known he developed a new form of ski and pole for use on steep slopes and later a ski binding, becoming the founder of alpine ski technique. Zdarsky is considered the inventor of the stem, or at least its first promoter. -January. Gerald Fox brought skis to Grindelwald and was the first to ski there. -Norwegian skis reintroduced to Arosa by Herr Durr, a Harz forester from Brunswick and copied by carpenter for Professor Egger. -Olaf Kjelsberg climbed the Bachtel (1119m} in the Zurcher Oberland. - January Major Christof Iselin experimented with homemade ski at Glarus. -8 February. Dr Raymond Pilet, French consul at Colmar, who skied in Alsace and the Black Forest, appeared at Feldbergerhof on ski. Mistaken for Carnival clown “The moment, if any, when skiing took root outside Scandinavia” Rickmers. -Joseph Fischer started to manufacture skis at Freiberg im Breisgau. And Franz Baudisch made skis in Riesengebirge. -Dr Otto Vorwerg wrote article on skiing in “Wanderer” in Riesengebirge. -1891-2 The Norwegian competitions were transferred from Huseby Hill to Holmenkollen 20,000 spectators. Vaage Holmenkollen Oslo Sekkelsten 1971. 30-35. -1892-1967 Reinhard Straumann born in canton of Basel. Invented S-scoring for Ski Jumping. Lecture by Max Triet at 2001 Ski History Conference. -Georg Bilgeri began to ski at Linz, Olaf Kjelsberg brought Norwegian skis to Glarus. -Max Kleinoschegg founded Verband Steirischer Skilaufer at Murzzuschlag where first European ski competitions were held, including a Downhill of 700m and a skijump. -First handmade laminated skis made in Norway. -Dr Oskar Kallas returned to Estonia from Finland with skis. Nuremberg “Sport and Physical Education in Estonia”. PhD dissertation University of California, Berkeley 1972. -January, Dr Henry Lunn took Reunion Conference to Grindelwald. It was successful so he started organising the travel of groups to the Alps. -Antti Haataja was first Finn to compete in ski jumping abroad. Came 30th at Stockholm. Pekka Honkanen 1990 . “The History of Skijumping in Finland.” -Severe winter in Black Forest. Dr Tholus told Fritz Breuer and Carl Thoma about his ski experiment and they ordered another pair of skis. On 18th March. Dr Pilet and Graf Tiesenhausen skied on the Feldberg. At the Feldbergerhof they met Breuer and Thoma on their first “Feldbergerfahrt” using Dr Tholus’ old skis. -First reports in German on ski-teaching. -February – Military skiing began in Germany. 8 November Lower Austria Ski Club founded, encouraged by Wedels Jarlsberg of Norwegian/Swedish Consulate in Vienna. -27 November, Ski Club Todtnau founded. The first Black Forest club soon attracted many students from Freiberg University. -Members of Budapest-Ofnen-Turnverein took skis to the High Tatras in Riesengebirge. First two-day ski tour by 5 skiers. -Walter Konig of Glockental, Bern, obtained Hagen skis from Christiania and made local outings by moonight with Paul Montandon. Son of Herr Oberst Wille brought first skis to Bern. - The Holmenkollen era began. -First German books on ski technique were published by von Wangenheim and Schneider. -28-29 January. Colonel Iselin, Kjelsberg, von Steiger and Dr Naef (raquettes) made first crossing of an Alpine peak, the Pragel (1,554m). -2 February. First ski competition in Central Europe at Murzzuschlag, including downhill race of 700m, won by W.B. Samson, and a ski jump. -Skiers seen in Bois de Boulogne, Paris. -8 February. Iselin and Jenny climbed the Schild (2,302m) the first real Alpine summit to be climbed on skis. -Henrik Angell visited Montenegro. Morganbladet 14 & 19 February. 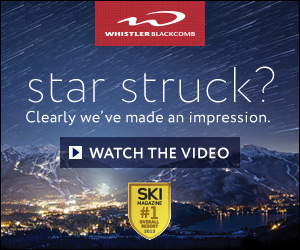 -Revelstoke Ski Club formed in Revelstoke, British Columbia CAN Carly King, Canadian Ski Museum, Ottawa -In New Zealand G.E. Mannering and Marmaduke Dixon made home-made skis and experimented in the Mt Cook area.G.E. Mannering “An Early Use of Ski in the New Zealand Alps” “The Australian & New Zealand Ski Year Book (1938). 52-53. --E and W Meisser made first visit on ski to Lenzerheide. In the Jura, Grosjean and Morel climbed the Chasseral (1607m). Pharmacist Gentil of Fleurier obtained 12 pairs of skis from Norway. Jacot in Le Locle ordered 20 pairs of Glarus skis for the SAC and visitors. -23 March Tobias and Johann Branger with Paul Kaiser crossed the Maienfelder Furka (2,436m) from Davos to Arosa, Two returned on same route next day. -First Swiss ski factory – the Jakober Ski Fabrik - was founded by Melchior Jakober, furniture maker and Joseph Jakober, a saddler, at Glarus. 70 pairs of Norwegian-type ash skis sold in first year. Telemark and shorter “Mountain” skis. Design derived from those brought to Arosa by the forester, Durr, in 1891. “Urgeschichte des Schweizerische. Skilaufes.” 101. -Dr Otto Vorwerg published a small book of instruction “Das Schneeschuhlaufen.” The German War Ministry ordered 48 pairs of skis through Vorwerg for trial by the German army. -March. Arosa Rothorn (2985m a new height record) climbed by Dr C Staubli on skis with 3 companions including Carl Egger on Canadian raquettes. A few days later Staubli returned alone to the summit to collect forgotten photographic equipment. -Fridtjof Nansen made second journey to North Pole with skis made of maple, birch and hickory Eino Nikkilai “The Story of the Ski 1966”. -Franz Raisch climbed the Kitzbuheler Horn. -1893-4 Czech Ski Club formed as it broke away from the Skating Club. Pierre Minelle “Le Ski dans les Tatras” “La Montagne” Jan-Feb1931. - Publication of “Auf Schneeschuhen” by E.H. Schollmayer-Lichtenberg, manager of forestry personnel on the Snesnik Castle estate, Slovenia. Described Stemming, Snowplough and Telemark technique. He also proved survival at Reifnitz near Klagenfurt of the Krain/Bloke/Carniola technique, described by Valvasor in 1689. -Swiss Federal Post Office sent skis from Todtnau for use by postmen in the Dischmatal, Davos. -Ski runners appeared in the Bois de Boulogne. --22 November. First Swiss Ski Club founded at Glarus by Christof Iselin after initial meeting on 19 November. Joachim Mercier Aus der Urgeschichte des Schweizer Skilaufer 106. Jubilee of Glarus Ski Club, 1893-1928. -Federal military authorities arranged for skis to be used by soldiers on the Gotthard. -December. Immer, Thoni and Berg crossed the Joch Pass from Meiringen to Engelberg. The first skiers to reach the slopes of Engelberg. -Krebs-Gygax of Schaffhausen crossed the Gotthard from Airolo to Andermatt. A Bernese Colonel from Thun obtained skis from Todtnau. -Ski classes were given at Murzzuschlag by a Norwegian. -Fritz Huitfeldt invented “bolt” binding, patented it and went into production (Torgersen). -Racing at Kiandra, Australia. Record was a quarter-mile in 18 seconds (c. 50mph). Letter in Norsk Idraetsblad 20 November 1995. 383 -March: Sir Arthur Conan Doyle made first visit to Davos and met Johann and Tobias Branger . With them he crossed Maienfelder Furka and made ski ascent of the Jakobshorn from Davos. -Dr 0tto Vorwerg published a short brochure on skiing called Das Schilauferverein. -Moscow Ski Club founded. Algemeine Sport Zeitung (8.12.94) 1334. -Zdarsky took on first pupil at Lilienfeld. -The first ski race in Western Canada was held at Red Mountain, Rossland, BC, Canada, organised and won by Olaus Jeldness. Carly S King, Canadian Ski Museum, Ottawa. -Publication of “Arbok” of the Norwegian Ski Association, edited by Karl Roll. -Publication of Henrik Angell Gjennem’s “Montenegro paa Ski”, Christiania. -Edward and William Richardson (GBR) visited Norway to skate but skied instead. - lst December Schwarzwald Ski Club formed an association of Black Forest clubs on the Feldberg from which developed the German Ski Federation The Schwarzwald Ski Club organised the first downhill race in Germany from Seebock to Feldbergerhof. 160m vertical. -Arbeiter-Turnerbund (Workers Gymnasts Association) formed in Germany. Paul Montandon of Thun with his wife obtained skis from Norway, Glarus and Lilienfeld. -Publication of “Alpine Lilienfelder Skifahr Technik” by Mathias Zdarsky. It started a long battle between those who followed Paulcke’s Norwegian technique and those who followed Zdarsky’s stem. Zdarsky patented his metal sole binding. -Copenhagen Ski Club founded. Jorn Hansen “Come to Norway my Friend” Danish Winter Sport as tourism in Goksoyr “Winter Games Warm Traditions”. -4 January Paulcke, de Beauclair, Baur and Steinweg climbed the Oberalpstock (3360m). Paulcke published pamphlet on the manufacture of homemade skis. It was widely circulated in Germany and Switzerland. -First military races in Central Europe were run on the Feldberg. -Ski Club des Alpes was formed by friends of Duhamel, Grenoble. -First Ski Club in Riesengebirge founded at Hohenelbe. -May. Freiburg students under Paulcke and de Beauclair climbed Fibbia and Piz Lucendro. -Dr Payot used skis to visit his patients in Chamonix, France. -In January Samuel Brawand and brothers, with the Russian Alfred Belaieff, crossed Strahlegg Pass (3351m) to the Grimsel. -17-23 January Wilhelm Paulcke with de Beauclair, Lohmuller, Ehlert and Moennichs crossed the Bernese Oberland glaciers on skis. -L.A.Kind, a Swiss engineer at Turin, introduced skis into Italy. -Johannes Branger and Herbert Aldridge skied from Davos to St Moritz over the Scaletta Pass and back over the Fuorcla d’Eschia (3008m) and the Porchabella Glacier. -The Owen sisters, the Bostock brothers and Canon Savage made adventurous tours at Grindelwald. -Martin Conway’s expedition crossed Spitzbergen on ski. -August .Von Arlt made first summer ski expedition on glaciers, climbing Johannisberg (3467) in Austria. -New Year: Paulcke and Helbling climbed Monte Rosa to a height of 4,200m. Four Bernese ski-runners, led by Emil Cardinaux, made traverse from Kandersteg to Lauterbrunnen, crossing the Petersgrat and Tschingel Pass using Lilienfeld technique. The winter mountaineer, Paul Montandon, took skis to the Great St Bernard, the Furka and Piz Lucendro. -Ehlert and Moennichs crossed the Oberalp and Lukmanier passes. -Professor Schweitzer and friends discovered Vorab near Flims as a ski district. -Henry Lunn brought a group of British to Chamonix. His 10-year-old son, Arnold accompanied them. Skis and an instructor were brought from Switzerland to entertain them. Arnold Lunn: Story of Skiing. -The War Eagle Trophy was presented to Olaus Jeldness at Rossland BC for the Ski Jumping Championships of Canada at Rossland BC. Carly S King, Canadian Ski Museum, Ottawa. -Dom Gross returned to the Grand St Bernard Pass and encouraged further skiing by the monks. -1 January Ehlert and Moennichs (Paulcke’s colleagues on Oberland traverse) killed by avalanche on Susten Pass. The first skiing fatality recorded in Europe. -Publication of Paulcke’s “Der Skilauf”. -McGill University professors P.E.Nobbs, J.B. Porter and R.J. Durley, skied on Mount Royal in Montreal, using “10ft Finnish skis – narrow, light and turned up at both ends”. Bob Soden, Montreal, QC Canada. -First German ski championships on the Feldberg won by Nielssen. Falkner. -The Dominion Ski Champion title won by Olaus Jeldness at Rossland BC. He won both ski-running and ski jumping events Carly S King Canadian Ski Museum, Ottawa. -First Nordic Ski Games in Stockholm. Baron Pierre de Coubertin, founder of the modern Olympic Games called them the Scandinavian Olympiade and suggested they should be organised every two years alternating between Stockholm and Christiania (Oslo). -Arnold Lunn (with Bostock brothers) made first expedition on ski from Grindelwald to the Kleine Scheidegg. -First ski course for mountain guides held at Meran, run by SC Schwarzwald and DoeAV Freiburg. --O. Eckenstein of London skied for much of the winter in the Loch Ness district of Scotland. -First Nordic Ski Games took place in Stockholm. Baron Pierre de Coubertin called them Scandinavian Olympics, to be run every 2 years alternating between Oslo and Stockholm -Lampinen factory founded at Porvoo, Kerkkoo, Finland. Goran Selen 1997. -First ascent of Dammastock (3633m) by Hoek and Schottelius. Hoek made first ascent of the Finsteraarhorn (4,275m). -Foundation of first Italian ski club in Turin. -Col.Bilgeri started to train Army skiers in the High Alps. -13 December Foundation of Zurich Ski Club by de Beauclair, -December. The Richardson brothers went to Davos from Britain in search of snow. -1901/2. W.R.Rickmers opened Adelboden for its first winter season. 1903 -6 January.Davos English Ski Club founded by E.C.and C.W. Richardson and E.H. Wroughton. Article in Davos Courier by the Richardsons: “Davos as the Skiers’ Paradise”. E.C. Richardson organised first ski races in Davos. The term “ski-ing” was used. 12 February, Davos Ski Club founded by Bartolomeus Caflisch. -January. Dr Payot led first party along the Haute Route. Followed a month later by Dr Heibling and Dr Reichert (unaware of Payot). -First ski hut built in Swiss Alps at Spitzmeilen. -First ski jump in Tirol at Kitzbuhel. -Gotthard Ski Club founded. -Hannes Schneider was given his first pair of skis and joined ski course run by Viktor Sohm. Gerald Fairlie biography . -23 January Adelboden Ski Club founded. . W.R. Rickmers made “snake-track of Laret” at St Moritz, which was seen by E.C. Richardson so they met. -January: Ski course for guides organised at Zermatt led by de Beauclair and A.Weber. -27 January First Swiss ski races at Sack, Glarus. Won by Fritz Steuri, postman from the Mannlichen and Kleine Scheidegg. -February - Konig and Flender killed in crevasse on Grenz Glacier, Zermatt. -Count Bonacossa, alone, climbed Corno Grande in Appenines, 2,914m. - Officers’ Club of Chur held ski course. -Bjarne Nilssen demonstrated Norwegian jumping on the Feldberg. -5 May. W.R. Rickmers read paper on “The Alpine Skee and Mountaineering” at the Alpine Club, London. -6 May Ski Club of Great Britain founded at the Café Royal, London with 12 members. -Rhaetian railway regularly used for return uplift by skiers descending to Kublis and the Prattigau. -1903/4 Skiing reported in the Guadarramas by two Norwegians but only when Juan Manuel Madinaveitia and others founded “The Twenty Club” did skiing become popular there. M.G. Arostegui y J.L. Gilabert “El Gran Circo Blanco. Historia del Esqui Alpino”. Valladolid Minon 1980. 38-40. The Barajones used in Riano in the province of Santander were not even the forerunner of skis -November. “Ski-Running” by E.C. Richardson,W.R. Rickmers and Crichton Somerville was published. The first work on ski-running in English. “Stemming” was proposed as an improvement on the term “snowploughing”. Estimate of some 10,000 skiers: sporting, professional and military then in Central Europe. -January. First course of instruction by Norwegians held in Switzerland at Lenzerheide. Organised by the SAC Chur under the direction of de Beauclair. Instruction given by Trygve Smith, Thor Heyerdahl; and the Swiss Guide, Christian Klucker. -Rickmers taught in January at Adelboden and at Easter took British touring group to Ben Nevis, Scotland. -Ski Club of Great Britain brought group to the Jotunheim where they made many ascents. Year Book of the SCGB 1905. -First ascent of Mont Blanc by Hugo Mylius (S.C. Schwarzwald) and Meiringen guides. -21 January. First ascent of Titlis by Willy Amrhein and Josef Kuster. –E.Wroughton and C Wingfield made two-day tour over the Derbyshire moors. -Rhaetian railway used regularly by skiers reaching Kublis and Prettigau. -23 October Founding of Swiss Ski Federation at Hotel Aarhof, Olten. 15 Swiss clubs with 731 members. Albert Weber (from Bern) President. -The Montreal Ski Club formed in Montreal QC. Carly S. King, Canadian Ski Museum, Ottawa. -Berg and Bjornstad ran courses at Engelberg, Glarus, Andermatt, Grindelwald, Les Avants, Lenzerheide, Zuoz and St Gallen. Some 700 qualified skiers were trained. -Hannes Schneider joined ski course run by Viktor Sohm. Gerald Fairlie biography. -First Bulletin “Ski” published.” -An estimated 10,000 sporting, professional and military skied then in Central Europe. -Skiing reported in the Atlas Mountains, Algeria. La Montagne 11, 4 (20 April 1906) 189. 1905 January: W.R. Rickmers taught at Adelboden. Adelboden English Ski Club was founded by T. Smyth Hughes. -21 January. First meeting of Swiss Ski Federation at Glarus to organise activities of the inconveniently large number of Swiss ski clubs. -Glarus Ski Club organised the first Grosse Skirennen der Schweiz. Crosscountry over Pragel Pass. Military Crosscountry and Jumping; Women’s Crosscountry; Crosscountry for Youth on Fassdauben. Leif Berg won the jump with 27metres. He also skied from Titlisgipfel to Trubsee in 29 minutes. -First issue of Year Book of the Ski Club of Great Britain. -English Officer on skis in Gulmarg region, India. “Year Book of the SCGB”. -“The Battle of the Bindings” was concluded, thanks to diplomatic visits of Schwerdtner to Christiania and Horn to Lilienfeld. -19 March. Zdarsky set the first gate race, precursor of the modern slalom on the Muckenkogel near Lilienfeld. -4 November. German Ski Federation founded in Munich. A few hours later the Austrian Ski Federation and Central Europe Ski Federation were founded. -Japanese fought on skis in Russo-Japanese war. Tokyo Morning Post cited in Algemeines Korrespondenzblatt 12. 24 February 1905. 119. 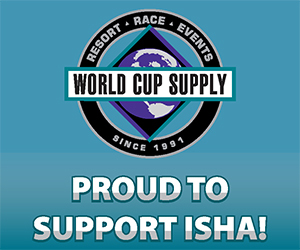 -National Ski Association of America founded at Ishpeming, Michigan. E. John Allen. The Modernization of the Skisport: Ishpeming’s contribution to American Skiing. Michigan Historical Review 16.1. Spring 1990 1-20. -Public Schools Winter Sports Club founded from Eton and Harrow parties by Henry Lunn. He took over hotels at Montana, Klosters, Lenzerheide and Villars. -24-27 February. Helsinki Ski Club organised its first international ski competition . Eljanko Harri & Kirja Vainen: History of Skiing in Finland 1969. -Italian troops trained by Harald Smith and Christian Klucker at Sauze, Italy. -“The Ski Runner” (“Der Skilauf” in german) published by H, Hoek and E.C.Richardson. Combination of Norwegian technique with Zdarsky’s stem. -First Arbeiter Skischule founded in Vienna. Falkner. -Finnish explorer, Professor Artturi Kannisto made his first expedition to study the language in western Siberia. He used skis to travel from one village to another and described skis used by local people - short broad skis, without tar. Good in late spring when the snow holds. Eino Nikkila.1966. -Colonel Georg Bilgeri began to teach civilians. He also provided the Austrian government with 150 page memorandum on Alpine warfare (later captured and translated by the Italians.) -Paravicini made ski tour near Fujirama. Paravicini “Ski in Japan” Ski (Mittel Eur Ski Verband (16. 30 March 1906). -Hannes Schneider started to teach skiing to guests at Hotel Post, St Anton am Arlberg Gerald Fairlie biography. -Grand Combin climbed by Professor Francois Roget and Marcel Kurz with guide, Maurice Crettex -Ottawa Ski Club formed in Ottawa ON Carly S. King, Canadian Ski Museum, Ottawa. -New ski jumps built at Vyborg and Tempere, Finland. Pekka Hokanen History of Ski Jumping in Finland 1990. -1907-8 Skiing reported in Iran near Sultanabad c.180 SW of Teheran. British Ski Year Book XVI (1955) possibly before this, as a race meeting was being planned in 1906. -20 March First Concours International de Ski held at Mont Genevre. La Montagne III 3. -Norwegian Ski Association founded. -Zakopane Ski Society founded. -24 October Gstaad Ski Club founded. -22 November Scottish Ski Club founded. -First Concours International de Ski held at Mont Genevre. La Montagne III 3. 20 March 1907. -First accident insurance for skiers and mountaineers offered by “Naturfreund” of Austria in Vienna. -First ski competitions held in Italy. -30.12-1994 Sigmund Ruud, born Kongsberg, Norway. World Champion Ski Jumper 1929. -17 February. First Ski Club of Great Britain meeting in Kitzbuhel, with Nordic and Alpine events organised by W.R. Rickmers. Year Book of Ski Club of Great Britain, 1908 -26 February. Finnish Ski Association founded. H Nygren, Antero Reivuori and Terno Makokuutti 1983. -7 March Alpine Ski Club founded by Arnold Lunn. -Italian Ski Association founded. Arnold Lunn and Cecil Wybergh skied dangerous mule path on Rawyl Pass on the way from Montana to Lenk. Choice of route publicly criticized. -1908-9 Hotel was built for winter sporting at Kosciusko, Australia. Der Winter V 15 10 February 1912. 236 and Bernard Head “Five Weeks in New South Wales” Year Book of the Ski Club of Great Britain 1911 53I. -3.2-26.7.92 O Hagen born NOR. Won Nordic combined 1934, 1935 and 1936 - 3 medals in 4 days at Garmisch-Partenkirchen Olympics 1936. IOC Museum. 1909 -Kosciusko Alpine Club founded. Stewart Jamieson “Skiing in Australia” Australian Quarterly (14 March 1932): 106 -Ski Club of GB organised tour to Montenegro and Turkey, introducing skis to the region. -Thomas Cook started to offer ski holidays. -French and German skiers competed at Holmenkollen. -Triberg in the Black Forest held first international winter sports meeting in Germany. -F. Noelting from Alsace introduced skis to the Caucasus. -Arnold Lunn and Professor Francois Roget made first full-length Oberland traverse via the Petersgrat from Kandersteg to Meiringen. -Bernard Head skied on Tasman Glacier. Year Book of Ski Club of GB 1910 23-4. -Vivian Caulfeild wrote first attack on use of sticks. He promoted Telemark and Christiania for S-turns.These matters had been emphasised in “Ski-Running” in 1904 and 1905 but many British skiers had since fallen into bad habits. Arnold Lunn broke his leg badly climbing in Wales. -25 December. Austrian Egon Edler von Kratzer made first Japanese ski tour. “ Alpine Skilauf in Japan” Der Schnee IX 24. 4 April 1914. 207. -Harold Smith jumped 45m – a world record. 1910 -5th January-12th March. Theodor von Lerch arrived in Tokada, foothills of Japanese Alps and made first tour in February. Theodor von Lerch. “Erste Winterhochturen in Japan.” “Zeitschrift des Deutschen und Osterreichischen Alpenvereins 63 (1932) 74 -18 February First International Ski Commission, Oslo NOR. Karl Roll became president. 22 delegates from 10 countries. Bruno Morovetz, FIS Bulletin No 127 1999. -Hilltop resort in Truckee, California, opened steam-driven toboggan tow, which also hauled skiers to top of slope. -Ottawa Ski Club founded in Ottawa, Ontario, Canada. Carly S King. The Canadian Ski Museum, Ottawa. -Hannes Schneider developed the Arlberg technique and taught a turn which became known as the stem-christiania. Gerald Fairlie Biography. -First skiers were reported in Bulgaria on lower slopes of Mt Vitosha near Sofia. Sir Francis Lindley, “A Diplomat Off Duty.” Ernest Bann, London, 1928. 81. -Publication of 2 important books: “Der Alpine Skilauf” (synthesis of Norwegian and Zdarsky techniques tailored for ski-mountaineering) by Colonel Georg Bilgeri and “Skiing for Beginners and Mountaineers” (pioneer work on mountain and avalanche craft). by W.R. Rickmers. -Mountain railway at Wengen opened in winter to allow skiing. -Arnold Lunn allowed to join Ski Club of GB (previously banned as father ran tours) and Henry Lunn knighted for promoting Anglo-German relations. -5 March First Baron von Willibrandt challenge cup run in Sweden and won by Sulo Jaaskelainen of Finland. Pekka Honkanon The Story of Skijumping in Finland.1990. -Canada’s first professional ski instructor, Emile Cochand, was brought to the Laurentian Mountain region in Quebec from Switzerland. Carly S. King, Canadian Ski Museum, Ottawa. -Murren railway opened in winter so skiers could use it as lift. -First mention in print of the term stem-christiania. Der Moderne Skisport by C.J. Luther. -Downhill Telemarks become fashionable with English skiers. Single pole almost extinct. -Cortina d’Ampezzo opened for winter sports. -Ski Club Echigo founded in Japan and one at University of Sapporo. Wolfram Manzenreiter “Die Soziale Konstruktion des Japanischen Alpinismus.” Wien: Institut fur Ostasienwissenschaften. Vienna University 2000. 90. -Second International Ski Commission, Stockholm SWE. Morovetz FIS Bulletin 1999. Long uphill sections in races are banned. - Publication of “How to Ski and How Not To” by Vivian Caulfeild. First clear analysis in English of ski dynamics, including his theory of rudder action. -Publication of “With Ski in Norway and Lapland” by J.H.W. Fulton. -December: Roald Amundsen with 4 others reached South Pole on skis. -Arnold Lunn able to mountaineer again. Decided to concentrate on ski-mountaineering but in summer climbed Dent Blanche on foot from Zermatt. -23 August -13 June 1998 Birger Ruud, born Kongsberg, NOR. Only competitor ever to win both Alpine and Nordic gold medals in Olympics – Downhill and Skijump in 1936. Also world champion ski jumper 1931, 1935, 1937 and won Olympic Games Ski Jump 1932. With his brother Sigmund he dominated ski competition in the early 1930s. -24-25 January, Third International Ski commission, Munich GER. Bruno Morovetz FIS Bulletin 1999. -11 February foundation of first Japanese ski club, - Takada Ski Club. Also first ski competition in Japan took place. In December, Alpine Ski Club of Japan was founded by von Kratzer, Ottgo Euchler and Leopold Winkler but was disbanded in World War I. Franz Klaus. “Lerch-Gedenken” Zdarsky-Blatter. March 1986. 5. -3 March. First Australian Ski Championships. Stewart Jamieson “Skiing in Australia” Australian Quarterly (14 March 1932): 106. -The Jungfraubahn was completed and kept open in winter to the Jungfraujoch. -“The Alpine Ski Guide to the Bernese Oberland” by Arnold Lunn was published. First ski guide to any part of the Swiss Alps. -First Russian instruction book. Lt Eimelejous “Le Ski dan l’oeuvre militaire.” St Petersburg: Th Gastew 1912 La Montagne IX 3 March 1913 77St Petersburg. -Very poor season in the Alps due to snow shortage and recurrent thaws. -First ascent of Lauterbrunnen Breithorn (3779m) by Arnold Lunn and Edward Tennant. -Nels Nelson emigrated from Norway to Revelstoke, BC. Shortly after, he established himself as a driving force in the Revelstoke skiing community, organizing its first winter carnival and ski tournament. Carly S. King, Canadian Ski Museum, Ottawa. -25 February Emile Allais born Megeve, FRA. Alpine world champion 1937 Chamonix and 1938 Engelberg. Helped to develop French parallel skiing technique by teaching and writing books. After the war he visited Quebec, Canada; Portillo, Chile; Meribel, France, Mont Tremblant Canada, Sun Valley and Squaw USA. Returned to be Technical Director at Courchevel from 1954-64, then La Plagne and finally retired to Flaine and Megeve. Skiing Heritage 2005. - “Skiing” by Arnold Lunn published. First book to veto stick-riding in Downhill races -Sepp Allgeier of Freiburg and Arnold Fanck filmed the first High Alpine ski film, “Monte Rosa on Ski” at the invitation of Dr O.D. Tauern. -First crossing of Cairngorms on ski by Sang and Arthur of the Scottish Ski Club. -20-21 March Fourth International Ski Commission Bern-Interlaken SUI. Bruno Morovetz FIS Bulletin 1999. -Simple stemming competition organised by Kosciusko Alpine Club. G.R.T. Ward Diamond Jubilee of the Kosciusko Alpine Club. -McGill University newspaper carried a notice of a meeting of those interested in skiing to discuss formation of club. The McGill Ski Club was formed as an affiliate of the Montreal Ski Club. A crosscountry and ski-jumping meet was held with McGill college and Dartmouth college of Hanover, NH, USA in January 1914 – the first intercollegiate meet in America. – Bob Soden, Montreal, QC, Canada. -First Finnish Championships E&K-69 -Mt Ruapehu Ski Club formed R.C. Murie New Zealand Skiing. Ski Notes & Queries 53 (May 1934) 297 -2 December – 9 July 1999 Esme (Muffie) Mackinnon GBR. Winner of First Ladies Alpine Ski Championships in 1931, held at Murren. She won both Slalom and Downhill despite stopping politely when a funeral crossed the Downhill course near Lauterbrunnen Station. 1914 -27-28 February, Fifth International Ski Commission, Christiania, NOR. -January, Villars. First competition for Army, Navy and Air Force Cup -Skidalfjaviker founded (Reykjavik, Iceland) Der Winter 27 (September 1934). -Skiing first mentioned as a tourist attraction, when the Hermitage at Mt Cook, New Zealand, opened early. Nan Bowie “Nick Bowie: The Hermitage Years”. Wellington Reed.1969.32. Hohenthal), in Helsinki. Factory burnt down in 1939, rebuilt with extension 1954 as Oy Urheilu Karhu. Merged 1973 with Tiitola Oy as Karhu Titan Oy. Moved to Kitee in eastern Finland. Renamed Ke rko Sport. Ski production ceased there in 1990s. -British and French prisoners of war were sent from Germany to Switzerland. Arnold Lunn organised their adminstration. He began to study snowcraft systematically and in April skied from Zinal to Zermatt with Joseph Knubel. -December. About 3,000 soldiers on the Austrian front in the Dolomites were killed by avalanches. -1916–1919 Professor Sakari Palsi made expedition to eastern Siberia. His diary recorded “There is only slight powder snow so there is no friction between the ski and the snow. People use snowshoes or very short skis for walking. Eino Nikkila 1966. -18 June. First ski ascent of the Dom, the highest mountain entirely in Switzerland, by Arnold Lunn and Joseph Knubel. -Emile Cochand built the first Canadian ski resort, Chalet Cochand in Ste Marguerite QC. Carly S King, Canadian Ski Museum, Ottawa. -26 October – 18 October 2006 Marc Hodler, born Berne SUI. President of the International Ski Federation 1951-1998. Learnt to ski as a boy in Murren. At Berne University joined Swiss Alpine Racing team and became expert in early development of Slalom and Downhill ski racing. Injury at Engelberg in 1938 stopped him racing. Elected chairman of FIS Downhill-Slalom Committee 1949 and FIS President aged 32. Changed ski racing from amateur to professional to avoid abuses. Represented skiing on International Olympic Committee from 1963 where he condemned bribery. -11 February 1919-13.February 1994 Gretchen Fraser USA. First non-European Lady to win Olympic Gold Medal for skiing (Downhill 1948, St Moritz). -14 November- 22 February 2005 Honore Bonnet born Barcelonnette FRA. French Ski Team Manager 1959-68 who inspired Jean-Claude Killy, Guy Perillat, Marielle and Christine Goitschel, Henri Duvillard and JeanVuarnet. Fought in Maquis in World War 2. With Serge Lang, Sepp Sulzberger and Bob Beattie created the World Cup at Portillo. Founded Pra Loup resort. -6 June-21 November 1999, Serge Lang born Alsace FRA. Founder of World Cup. Journalist on l’Equipe, who, with Honore Bonnet (FRA), Bob Beattie (USA) and later Sepp Sulzberger AUT, laid down rules for FIS World Cup. At Portillo, (CHI) in 1966 the idea was proposed and on 11 August Marc Hodler announced its acceptance by FIS. The first event was held at Berchtesgaden on 5 January 1967. Until his death he directed the World Cup. -“Wunder der Schneeschuhs”, first of Arnold Fanck’s films with Hannes Schneider. Fanck’s films and the development of the Arlberg technique taught by Schneider had a big influence on the popularity of skiing. Foundation of Ski Club of Australia. Ski Notes & Queries 47 (May 1932) 350 -Canadian Amateur Ski Association formed in Montreal. H. Percy Douglas elected president. First annual general meeting held in 1921. Carly S. King Canadian Ski Museum, Ottawa. -Henrik Jacobson became the first professional ski instructor in US. -The first National Ski Championships to include Alpine events – a Slalom judged on style and a Downhill - were run by the British above Wengen, Switzerland. (Men’s Slalom result cancelled due to weather). -21 January .Arnold Lunn changed the slalom rules and organised at Murren the first modern slalom through awkwardly placed gates and judged on speed not style. Lunn, The Kandahar Story. -United States Eastern Amateur Ski Association formed (Amski 1966). 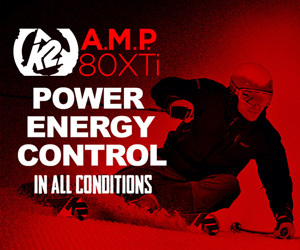 -Emil Lampinen opened new ski factory in Kerkoo, S Finland. Most skis exported until the 1970s. In 1984 Oy Lampinen Sport specialised in roller skis and water skis.G.S. -97 -4 March Vasa Race first run. - Lahti Ski Club founded LHS 1982. -December – First skijump built in Lahti Sports Centre, designed by Norwegian Robert Pehrson. -10-11 February First Japanese National Ski Championships. Also first jumping in Otaru. Winner jumped 16.10m. Massaji, Iguro “Development of Skiing in Japan in Federation Internationale du Sport Universitaire FISU 17-21 January 1968. Innsbruck. Graz. Zentraler Hochschulsport Ausschuss Osterreucgsm 1968 71. -Norway’s Ski Museum opened. Vaage Skienes Verden. -First Lahti Ski Games . 50km winner T. Niku, 10km winner A. Collin. Pekka Honkanon The History of Skijumping in Finland 1990. -24 January-4 February Chamonix. Eighth International Ski Commission which founded the International Ski Federation (FIS). President Ivar Holmquist NOR. International Winter Sports Week – later recognised as first Winter Olympic Games. Nordic events only - 18km crosscountry, 50km crosscountry, ski jumping and nordic combination (Morovetz FIS Bulletin 1999.) Haug mistakenly declared winner but medal given later to Andreas Haugen USA Allen: “We showed the world the Nordic way” “Skiing, Norwegians and the Winter Olympic Games in the 1920s”in Kay Schaffer and Sidonie Smith (Eds) “The Olympics at the Millennium: Power Politics and the Games.” New Brunswick Rutgers University Press 2000. -Toronto Ski Club Incorporated. Carly S. King Canadian Ski Museum, Ottawa. -2 complete skis and a pole found buried at Kalvetrask, Sweden, dating back to 2,700BC. -29 January. Kandahar Ski Club founded at Murren. Lunn. The Kandahar Story. -Walter Amstutz founded the Schweizerische Academische Skiklub (SAS) A History of Skiing by Arnold Lunn. Oxford University Press 1927 253. -31 January- 2 February. Ist Workers Winter Sports, Schreiberhau, Riesengebirge, Germany. Organised by Karl Buhren and including skijump (Men and Youths), Combined, Obstacle race, 30km and 15km Crosscountry (Youths and Women) -15 February. Foundation of Japanese Ski Association. Massaji 72. Changed its name to Japanese Zen Nippon Ski Renmei in 1938. Der Winter 32 5 December 1938 309. -Nels Nelson of Revelstoke BC broke the world’s longest ski jump record with a leap of 224 feet (73.125m) in February. He later extended this to 240 feet. Carly S. King, Canadian Ski Museum, Ottawa. –9/14 April Capt de Gennes, Schwindler, Michelet and Armardeil made expedition in the Pelvoux range -Middle 1920s. Rudolf Lettner invented metal edges for skis. Falkner. –FIS Rendezvous Races Johannisbad, Czechoslovakia (later recognised as Nordic World Ski Championships). -5 December –7 October 1962 Henri Oreiller, born Paris FRA. Fought with Maquis in World War 2; won France’s first Olympic gold medals for Downhill and Alpine Combined at St Moritz 1948; killed motorracing. -Foundation of Ski Club of India. Dermot Norris, “Kashmir: the Switzerland of India,” Calcutta: Newman, London. Groom. -Publication in English of “The Wonders of Skiing” by Hannes Schneider and Arnold Fanck . -Oscar Hambro of Norway opened first US ski shop in Boston. Amski 1966 446. -1926-7 Reinhard Straumann, an ex-jumper published in “Ski” the aerodynamics of ski jumping. He also used the wind tunnel at the University of Gottingen. Max Triet and Marcel Muller. “The Hindered Revolution or Reinhard Straumann and his struggle for S-Scoring in Ski Jumping.” Esaprint 2001.77. -FIS Rendezvous Races, Lahti. 30km and 50km crosscountry and Hors Concours race for women. -Emil Lampinen awarded gold medal at World Fair, Philadelphia for his skis. -8 March First US modern Downhill race held at Mt Moosilauke, New Hampshire by Dartmouth Outing Club. Won by Charles N. Proctor 1942 American Ski Association pp 26-30. -Otto Schniebs was first Arlberg instructor to arrive in US. He became coach of Harvard team, official instructor for Appalachian Mountain Club in Boston. Finally set up ski school at Lake Placid in 1936.
boys and the two men decided to run a Downhill and Slalom event the following year. -First Ounasvaara Ski Games in Rovaniemi, Finland. E&K .69. -2 September-1952 Trude Beiser, born Lech AUT Ladies Olympic Ski Champion 1948, at St Moritz. Also won Gold Medal for Downhills 1950 World Championships, Aspen and 1952 Olympics, Oslo. -11 December Stein Eriksen born Oslo NOR Olympic Gold Medal GS in 1952 Giant Slalom. Silver in Slalom. Also Gold Medal, for Slalom, Giant Slalom and Combined in 1954 World Championships. Excellent acrobatic skier, performing somersaults and swan dives, encouraging freestyle. Ran skischools in several resorts including Heavenly Valley, Portillo and Aspen Highlands. Founded luxurious Deer Valley in Utah. -Foundation of Netherlands Ski Federation. -Norwegian Erling Strom built Mt Assiniboine Lodge Carly S. King Canadian Ski Museum, Ottawa. -31 March-1 April The first Arlberg-Kandahar was organised at St Anton, by Hannes Schneider and the Kandahar Ski Club. The oldest open Combined Downhill and Slalom event in the world. Until the World Cup started it was the top alpine event each year. British Ski Year Book 1928. –New Ski Jumps built at Rovaniemi and Kuopio FIN. -International Ski Championships in Zakopane, Poland. A Downhill was included in which 2 women raced with the men. British Ski Year Book 1929. -First crosscountry ski manual published in Finnish. Roni Ranne Murtormaahiihto Helsinki. -Foundation of Schweizerische Damen Skiclub. Hopp Schweiz, edited by Max Triet. -Chateau opened at Tongariro, New Zealand. Ruapehu Ski Club organized first New Zealand Championships. J.C.Graham. Ruapehu. Tribute to a Mountain. Wellington, Reed. 1963 32. -Two skiers at Fonteintjisberg, S Africa. “The Cape Times” 15 July 1929. -Visit to Japan of three Norwegians, Kolterud, Snersrud and Helset. Helset letters in Aftenposten 9, 15, 28 February. 3 April 1929. -Publication of “Schneeschuhlauf” by Karl Buhren and Waldemar Richter – a lasting influence on working class skiers. –Peckett’s-on-Sugar-Hill Arlberg ski school near Franconia NH was founded by Katherine Peckett to become the first resort-based ski school in the US, Adler Congress paper. -9 March. First American slalom set by Professor Charles A Proctor of Dartmouth College following Arnold Lunn’s experimental FIS rules. Hooke p 231. -First ski train ran in the United States from Boston to Warner New Hampshire.Amski 1966 447. 1930 -Optrekk style of jumping no longer considered valid in competition. Vaage Skienes Verden. 265. -First Kilometre Lance was run at St Moritz by Kurdirektor Walter Amstutz. British Ski Year Book. 1930 697-700. -Lauberhorn Race founded at Wengen and won by locals, Ernst Gertsch (Slalom) and Christian Rubi (Downhill). -13 March-4 April Hannes Schneider visited Japan. and gave ski lessons there. Hannes Schneider “Auf Schi in Japan” Innsbruck Tyrolia 1935. -FIS Congress in Oslo at which it was agreed that Arnold Lunn’s Downhill and Slalom rules should be used in international FIS races. 1 February Madeleine Berthod born SUI Won Downhill and Combined 1956 Olympic Games Cortina. -Skoki backcountry ski lodge built at Banff, Alberta by pioneers Clifford White and Cyril Paris. Carly S. King, Curator/Director, Canadian Ski Museum, Ottawa. -Laminated ski construction patented simultaneously by Ostbye-Splitkein in Norway and Anderson and Thompson in Seattle. -First Hahnenkamm run at Kitzbuhel. -5-8 February. Workers second Winter Sports Olympics held at Murzzuschlag AUT. -First FIS Alpine World Championships, Murren, SUI organised by the British. British Ski Year Book 1931 FIS Nordic World Championships at Oberhof. GER. 1932 -First Winter Olympic Games outside Europe held at Lake Placid USA. Nordic events only. FIS World Alpine Championships held at Cortina d’Ampezzo. -First North American rope tow was in use at Shawbridge, Quebec. -Esko Jarvinen started to produce skis in Lahti, Finland with the name Uheilukeskus Oy. In 1939 the name was changed to Esko Jarvinen Oy, supplies were sent to Boston and New York, USA and big supplies were sent to Finnish troops. The factory was expanded four times. In 1974 they made fibreglas skis. Jarvinen skis won 387 Olympic and World Championship medals. The company closed in 1991. P & T 1992. -19 April Andrea Mead Lawrence born Rutland, Vermont USA. Won Slalom and Giant Slalom, 1952 Oslo World Championships. Active environmentalist in Eastern Sierras. Morten Lund I Skiing Heritage December 2002. -FIS World Nordic Championships at Innsbruck included Mens Relay for the first time. -Ski jumping record of 281 feet, held by Alf Engen of Salt Lake City, Utah broken by Robert S Lymburne with a jump of 287ft. Carly S King Canadian Ski Museum Ottawa. -Alex Foster (CAN) a Montreal student, invented a rope ski tow that was installed on a hill at Shawbridge QC. A contemporary newspaper article refers to it being in operation in January 1933 Morten Lund, editor of Skiing Heritage. Moise Paquette, a mechanic in Ste Adele QC may have built some ski tows for tourist hotels prior to 1933 Paul McMorris – ski historian http//www.skiing.history.org/forums/viewtopic.php?t=63 –Bob Soden, Montreal West, QC. Canada. -New Zealand Womens Championships first organised in Downhill and Slalom.Graham. Ruapehu. Tribute to a Mountain. Wellington, Reed 1963:33. -Ski flying hill built at Planica, Yugoslavia SLO. -FIS Nordic Championships Solleftea SWE. -First Teleski (Bugellift) installed at Davos by E. Constam. -1934-1951 Nicolai R. Oestgaard of Norway succeeded Ivor Holmquist as President of FIS. -FIS Nordic Championships Hohe Tatra TCH. -Ernst Skadarasy from Zuers, Austria, spent season at Kosciusko. Janis M Lloyd. “Skiing into History 1924-1984. Toorak:Ski Club of Victoria 1986 556. -17 November Anton (Toni) Sailer born Kitzbuhel AUT. First Triple winner at Cortina Olympics in 1956. Technical Director of Austrian Ski Association 1972-6. Chief of Race at Hahnenkamm 1986-2006. Filmstar, author, appointed Chairman of FIS Alpine Committee 1983. -First Winter Olympic Games to include Alpine races (Slalom and Downhill but medal awarded for Combined only) for men and women. Held at Garmisch-Partenkirchen. -FIS World Alpine Championships, Innsbruck. -First chairlift built in Sun Valley, Idaho, USA. -First Jumping manual published by Paavo Nuotio in Finland - Lauri Valonen Maenlaskun opas P&N 1969. -“Snow Structure and Ski Fields” by Gerald Seligman was published. It analysed the structure of the snow crystal and aided avalanche prevention. --Asoh Takeharu was first Japanese to take the Austrian Teachers exam. 75 Jahre Japan Oesterreich Skifreund. 1911-86. Lilienfeld Zdarsky Gezellschaft mit Unterstutzung der Staatgemeinde Lilienfeld TMSn.p. -18 March Ingemar Stenmark born, Tarneby, SWE. Won World Championship Slalom and Giant Slalom in 1978, Olympic Gold for Slalom and Giant Slalom in 1980, World Championship Slalom and 2nd in Giant Slalom in 1982. Won Overall World Cup 1976,1977, 1978. -FIS Nordic Championships Chamonix FRA. -12 November, J.B. Ski Club formed in Montreal QC by a group of the Montreal Junior Board of Trade. Carly S. King, Canadian Ski Museum, Ottawa -August. First ski tow in Australia (120 yards long) powered by a V-8 Cadillac engine on Mt Buffalo, built by Victorian railways. Australian and New Zealand Ski Year Book (1938): 17 -New ski jump in Rovaniemi, FIN following new safety rules E & K -First Citadin race (Duke of Kent Cup) set in Murren by Arnold Lunn. Lunn. The Kandahar Story. -3rd Workers Winter Sports Olympiade. Johannisbad. Giant Mountains Gerd Falkner. . -Publication in France of “Ski Francais” by Emile Allais and Paul Gignoux in which Emile Allais promoted a direct-to-parallel ski teaching method that discouraged the use of snowplough and stem – Bob Soden, Montreal QC Canada. -Veli Saarinen takes over as Finnish trainer until 1948. Nygren, R and T 1983. –February. Joseph Ryan opened Mont Tremblant ski area in the northern Laurentian Mountains of Quebec. - Carly S King, Curator/Director, Canadian Ski Museum, Ottawa. -Canadian Ski Instructors Alliance /Alliance des Moniteurs de Ski du Canada (CSIA) founded in the Laurentian Mountains ski region of Quebec just north of Montreal by Heinz von Allman and Louis Cochand Normand Lapierre, president and CEO CSIA. -FIS Nordic World Championships using new Ski Jump, Lahti, FIN. Alpine World Championships, Engelberg SUI. -First chairlift in Europe at Frydek-Mistek, Czechoslovakia. -First U.S. Ski Patrol established at Stowe under Minot Dole as chairman of national committee. Amski 1966 p448 Friedl. -Hannes Schneider imprisoned by Nazis and then sent to Garmisch-Partenkichen in the care of Karl Roesen. Arlberg-Kandahar cancelled by Arnold Lunn. -17 November Karl Schranz born St Anton AUT. Won World Championship Downhill and Combined, Chamonix 1962. Won Overall World Cup 1969, 1970. President of successful St Anton World Championships 2001. -Zakopane, POL. FIS Nordic & Alpine World Championships including Crosscountry, Jumping, Nordic Combination, Slalom, Downhill and Combined. -11 January Anne Heggtveit born Ottawa, CAN. Olympic Combined Champion, Squaw Valley 1960. Youngest ever winner of Holmenkollen Giant Slalom when 15. -Canadian Ski Patrol System organised by Dr Doug Firth, Toronto ON Carly S King, Canadian Ski Museum, Ottawa. Canadian Ski Instructors Association published its first ski teaching manual - Normand Lapierre, President & CEO CSI. -Unofficial World Championships at Cortina but not recognised when the war ended. -Publication of “Parallel Skiing” by E. Fritz Losli, in which he describes how he teaches parallel skiing from the start without using snowplow or stem. He taught as head instructor of the Ski Hawk School at the Chateau Frantenac in Quebec City, Quebec, Canada – Bob Soden Montreal, QC Canada. -11 May. Nancy Greene, born Ottawa CAN, learnt to ski as soon as she could walk, in Rossland, British Columbia. Overall World Cup 1967 and 1968. Ladies Olympic World Champion 1968 Grenoble. Married Al Raine (successful Canadian Team Manager) and, with him, developed Whistler resort and founded Sun Peaks in British Columbia. -30 August, Jean-Claude Killy born St Cloud, FRA. Overall World Cup winner, 1966, 1967, 1968. Triple Olympic winner Grenoble 1968. Fronted successful Olympic Games, 1992, Albertville. 1944 -Tenth Mountain Division inactivated. -Benno Rybizka a top instructor from the Hannes Schneider Ski School in St Anton, came to Mont Tremblant. QC Carly S King, Canadian Ski Museum, Ottawa. -9 September Christine Goitschel born Ste Maxime FRA. Elder of 2 ski-racing sisters. lst in 1964 Olympic GS, 2nd in Slalom. -18 October Allied Control forbad all National Socialist organisations, among them the NSRL (national socialist organisation for physical exercise) which included skiing. -6 November. Founding of the Bavarian Ski Club, the first local ski club after the war. 17 December. Directive 23 of Allied Control restricted and unmilitarised all sport in Germany. Skiing was allowed only locally and all clubs and federations were disbanded. Winter 1945/6. First Bavarian Ski Championships after World War 2. -28 September Marielle Goitschel born Ste Maxime, FRA. Ladies World Champion 1962 and 1966, Ladies Olympic Champion 1964. -July. Donald Gomme GBR patented first ski made of wood and metal bonded. He had learnt the technique while making aircraft during the 2nd World War. A revolutionary water-repellent tough plastic surface gave extra speed. –Aspen, Colorado opened with 1 chairlift. -6 December Workers South German Community Ski Federation founded in Esslingen, as forerunner of the German Ski Federation. -Winter Olympic Games. St Moritz SUI. Officially no German entries. Individual racers, men and women. -Sporting goods manufacturer Jean Beyl introduced a releasing plate binding for alpine skis, in Nevers, France; named it Look. -February. The Bavarian Ski Club reemerged under its prewar name. -1 December. The Federation founded in the Soviet zone (which became East Germany) was later to become the East German Ski Federation. -Mt Norquay introduced the first chairlift in the Canadian Rockies. Carly S King Curator/Director Canadian Ski Museum, -First US national periodical, “Ski Magazine” evolved out of merger of Ski Illustrated (the changed name of the original Ski magazine), Ski News and Western Skiing. The new magazine was published by William T. Eldred. (Amski 1966 p449). -First Lowlander Championship run by the Kandahar Ski Club between the Belgians, British, Danes and Dutch skiers. -First mass production of aluminum skis, by Chance Vought and TEY in Connecticut and Howard Head in Maryland. -FIS World Nordic Championships at Lake Placid. Alpine World Championships, at Aspen USA. -Steve Bradley introduced first “mogul cutter” slope grooming machine at Winter Park, Colorado. -Hannes Marker invented his binding. Falkner. -27 March Annemarie Proell born Kleinarl, AUT. (m Moser) Began skiing aged 4. Ladies Olympic Champion 1972 Sapporo, Ladies World Champion, 1978, Garmisch-Partenkirchen. Won Overall World Cup 1971, 1972, 1973, 1974, 1975 and 1979. -3 December Franz Klammer born Mooswald, AUT. Combined World Champion St Moritz 1974 Won 25 World Cup Downhills including Olympic Downhill 1976. Promotes skiing in Austria. Golfer. -FIS World Championships in Falun, SWE. 30km race for men and also womens’ relay included for first time.. -US National Ski Hall of Fame dedicated at Ishpeming, Michigan. -Henke Speed Fit buckle boots launched. Ski Racing 1983 44. – Taos Ski Valley opened by Ernie Blake in New Mexico USA. -First Pirkan Hiihto track tour over 90km from Niinisalo to Tampere Nygren, Revuori, Makokuutti “A Long Track” 1983. -Taos Ski Valley opened by Ernie Blake in New Mexico USA. -26 January-5 February.Winter Olympic Games. Cortina d’Ampezzo, ITA. Tony Sailer of Austria won first everTriple Gold in Giant Slalom, Slalom and Downhill. Sixten Jernberg of Sweden, won gold in 50km, silver in 30km and 15km and bronze in the relay race. First Winter Olympics to be televised. 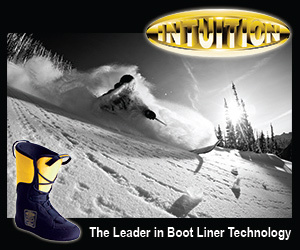 -Bob Lange made the first plastic ski boot. Commercial introduction came in 1964 after adoption of buckles. Also first step-in binding made by Cubco. -FIS World Nordic Championships, Lahti, FIN, with new Ski Jump. 18 countries compete. LHS-82 F.H.-91 P.H.-90. Alpine World Championships, Badgastein AUT. -First World Biathlon championships held in Saalfelden, Austria. –Killington Vermont and Mount Bachelor, Oregon, opened inUSA. -Winter Olympic Games Squaw Valley, USA. Anne Heggtveit, CAN won gold in Slalom and Combined so became the first non-European to claim the FIS Overall and Slalom World Championships. -Start of Acrobatic Skiing. Stein Eriksen performed amazing feats. -Franz Kneissl made first ski of epoxy glass fibre, and marketed it with Seiler and Plymold. It was to revolutionise ski production. (Ski/R 1983 p47). 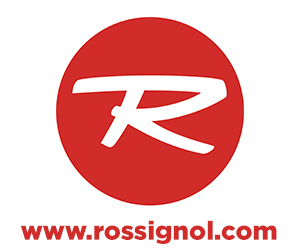 –Professional Ski Instructors of America (PSIA) founded. -The Rendezvous races from 1929-34 were relisted as FIS World Championships. -“Instant Skiing” by Clif Taylor was published. It explained how to teach beginners on short skis. -The Canadian Ski Patrol System became accredited as a National Charitable Organization – operating independently from the Canadian Ski Association, Carly S King, Curator/Director Canadian Ski Museum, Ottawa. -Alpine Ski World Championships, Chamonix FRA. Nordic World Championships Zakopane, POL. Jumps from two heights 70m and 90m instituted for Olympic Games and World Cup events. -Publication in USA of “Skiing for Beginners” in which Walter Foeger updates the description of his direct-to-parallel ski teaching method. –Bob Soden Montreal QC Canada. –Vail opened in Colorado USA. -12 January, Gunde Svan born Vansbro SWE. In 1984 Olympics at Sarajevo he won 15km – the youngest man ever to win an Olympic crosscountry race. Also 2nd in 50km, 3rd in 30km and in winning relay team. 6 March Erika Hess born Grafenort SUI won Combined World Championships 1982 Schladming, 1985 Bormio and 1987 Crans Montana. Overall World Cup Winner 1982 and 1984. -29 January-9 February Winter Olympic Games, Innsbruck. -The first Canadian ski demonstration team attended the 5th Interski Congress at Badgastein, Austria. Normand Lapierre, president and CEO CSIA. –Lange produced first plastic boot. -12 February Anita Wachter born Schruns AUT. Won Combined at Calgary Olympics 1988. Won Overall World Cup 1993. 7 April Michaela Figini born Prato SUI won Combined 1985 Bormio and 1987 Crans Montana. 1967 -5 January Serge Lang with Honore Bonnet, Bob Beattie and Sepp Sulzberger launched the FIS World Cup with a race at Berchtesgaden. -19 June Bjorn Daehlie born Elverum NOR. In 1992 Albertville World Championships won 10km C+15kmF and 50km C and in winning team for relay. In 1993 won 10kmC+15kmF and 30kmC and in winning team relay. In 1994 Lillehammer Olympics won 10km and 10kmC+15kmF. In 1997 World Championships, Trondheim, won 10kmC, 10kmC+15kmF. In 1998 Nagano Olympics won 10kmC and 50kmF and in winning team relay. -6-18 February. Winter Olympic Games at Grenoble. -Schilthornbahn opened in Murren by Ernst Feuz. Cablecar used in James Bond film “On Her Majesty’s Secret Service”. Used by about 2 million people annually. Piz Gloria, revolving restaurant on top, opened in 1969. -1968-72 Arto Tiainen official trainer for Finnish team. –Introduction of NASTAR testing. .
-21 February Petra Kronberger born Pfarrwerfen AUT. Won Downhill Saalbach 1991World Championships; Olympic Slalom Albertville 1992; Overall World Cup 1990, 1991, 1992. -24 March Stefan Eberharter born Brixlegg AUT. Won Giant Slalom Salt Lake City Olympics 2002, Super G St Moritz 2003, Overall World Cup 2002 and 2003. -4 June Deborah Compagnoni born Sondrio ITA. Won Super G, Albertville, 1992; Won Giant Slalom, Lillehammer Olympic Games 1994 and Sierra Nevada World Championships 1996; Slalom and Giant Slalom at Sestrieres World Championships 1997; Olympic Giant Slalom at Nagano. Olympic Giant Slalom, Salt Lake City 2002. Won Overall World Cup 2002, 2003. -FIS Nordic World Championships Hohe Tatra, (TCH). Alpine World Championships, Val Gardena (ITA). –Crosscountry skis made with fishscale bottoms. The Story of Modern Skiing. -2 September Kjetil-Andre Aamodt born Oslo NOR. Won Super G Albertville Olympics 1992, Slalom and Giant Slalom, Morioka World Championships 1993, Combined Sestrieres World Championships 1997, Combined Vail World Championships 1999; Combined St Anton World Championships 2001, Combined Salt Lake City Olympics 2002. Overall World Cup 1994. 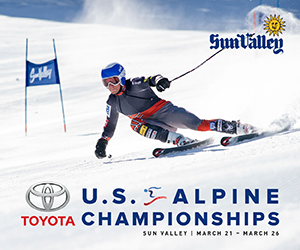 –The first National Championships of Exhibition (Freestyle) competition were held at Snowbird. -10 May Katya Seizinger born Eberbach GER. Won Super G Morioka 1993; Olympic Downhill Lillehammer 1994, Olympic Downhill and Combined, Nagano 1998. -7 December Hermann Maier born Altenmarkt AUT. Won Giant Slalom and Super G 1998 Nagano Olympics; Downhill Vail World Championships 1999; Giant Slalom Bormio World Championships 2,000; Overall World Cup 1998, 2000, 2001. -Winter Olympic Games, Sapporo, JAP. First FIS World Championships in Ski Flying. Planica JUG. -New big ski jump built of concrete at Lahti. Lahti Ski Museum opened. H +K+I. -18 June Alexandra Meissnitzer born Abtenau AUT. Won Giant Slalom and Super G Vail, 1999, Won Overall World Cup 1999 -Second Ski flying championships, Oberstdorf. -The new Canadian Ski Instructors Alliance, Level 1 Ski Instructors Course introduced. Normand Lapierre Presdent & CEO CSIA. -Ski Flying championships, Mitterndorf Tauplitz. ---The Canadian Ski Museum was incorporated in Ottawa. ON Canada. Carly S King Canadian Ski Museum, Ottawa, Canada. -12 October Bode Miller born Franconia USA. Giant Slalom and Combined St Moritz 2002, Downhill and Super G Bormio 2005. -28 February Benjamin Raich born Arzl im Piztal AUT. Won Slalom and Combined, Bormio World Championships 2005, Olympic Slalom and Giant Slalom, Turin 2006. -Steve McKinney breaks 200kph speed record. -Nordic World Championships, Lahti FIN. Alpine World Championships, Garmisch-Partenkirchen, BRD. - Steve Podborski became Canada’s first male skier to win an Olympic medal (bronze) at Lake Placid. Carly S King, Curator/Director of Canadian Ski Museum, Ottawa ON Canada. -Ski Flying Championships Oberstdorf BRD. -Winter Olympic Games Sarajevo JUG. The Gundersen method of Nordic combination is introduced. Competitors start the crosscountry according to points awarded for their jump and the winner is the racer who reaches the finish first. -Winter Olympic Games Calgary CAN. Super-G and Ski flying added as Olympic disciplines. Alpine events at Nakiska. Crosscountry and Biathlon at Canmore. -Jurij Franko began work at Elan on radical sidecut skis. -Val di Fiemme. Nordic World Championships, Technique for jumpers forming V with skis adopted. Alpine World Championships, Saalbach-Hinterglemm AUT First use in FIS alpine competition of radical sidecuts. -Winter Olympic Games Albertville FRA. -Ski Flying Championships, Harrachov TCH . 1996 -First FIS Snowboard World Championships. Lienz, AUT . Giant Slalom, Parallel Giant Slalom; Parallel Slalom, Halfpipe and Snowboard Cross. -Alpine Ski World Championships, Sierra Nevada, SPA. Ski Flying Championships Tauplitz/Bad Mitterndorf AUT. -Snowboard World Championships San Candido/Innechen ITA included Giant Slalom, Parallel Giant Slalom, Parallel Slalom, Halfpipe, Snowboard Cross. Freestyle World Championships Nagano JAP. Nordic World Championships, Trondheim NOR. -Winter Olympic Games, Nagano JAP. Snowboard Giant Slalom and halfpipe included. -Retirement of Marc Hodler as FIS President during Prague congress. Gian-Franco Kasper SUI elected President. -First FIS Ski Historical Conference (Meeting of Ski Museum Directors) Holmenkollen NOR. -Nordic World Championships. Ramsau AUT; Alpine World Championships Vail; Freestyle World Championships, Meiringen Hasliberg SUI. World Snowboard Championships, Berchtesgaden GER -Darron Powell AUS raised the snowboard speed record to 201.90kph. 2000 -Swiss Ski Federation had 878 clubs with 106,000 members. -Ski Flying Championships Vikersund NOR. -Snowboard World Championships Berchtesgaden. -Nordic World Championships. Lahti FIN. New events: 10km free and classical races together. Team jumping competition. 15km Crosscountry & Jumping. Alpine World Championships. St Anton AUT. Freestyle World Championships Whistler CAN. Snowboard World championships Madonna di Campiglio ITA. Second FIS Ski Historical Conference Helsinki & Lahti FIN. -International Ski History Congress. Park City, USA. -Ski Flying Championships Harrachov CZE. -At the German/Austrian Four Jump championships, Sven Hannawald was the first ever to win all four competitions and the combined. -23 April. Philippe Goitschel at Les Arcs raised record speed to 250.70kph, beating 248.105kph made by Harry Egger AUT . 2003 -Nordic Ski World Championships. Val di Fiemme ITA. Alpine Ski World Championships St Moritz, SUI. Freestyle World Championships Deer Valley USA. 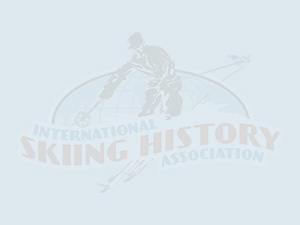 -FIS Ski Historical Conference. Murzzuschlag & Graz AUT. -Canadian Ski Instructors Association national office doubles in size, moved to new location in Montreal and established a museum. Normand Lapierre, President and CEO CSIA. -30 January-13 February. Alpine Ski World Championships in Bormio ITA. A new team event, won by Germany, consisted of 4 slaloms and 4 giant slaloms (2 women and 2 men in each team). -20 March, Nordic World Championships included a Biathlon team event (2 women 2 men). -Simone Origone ITA made a new speed record at Les Arcs of 251.40kph, also raising the Women’s speed record. Sunna Tidstrand SWE reached 242.59kph.